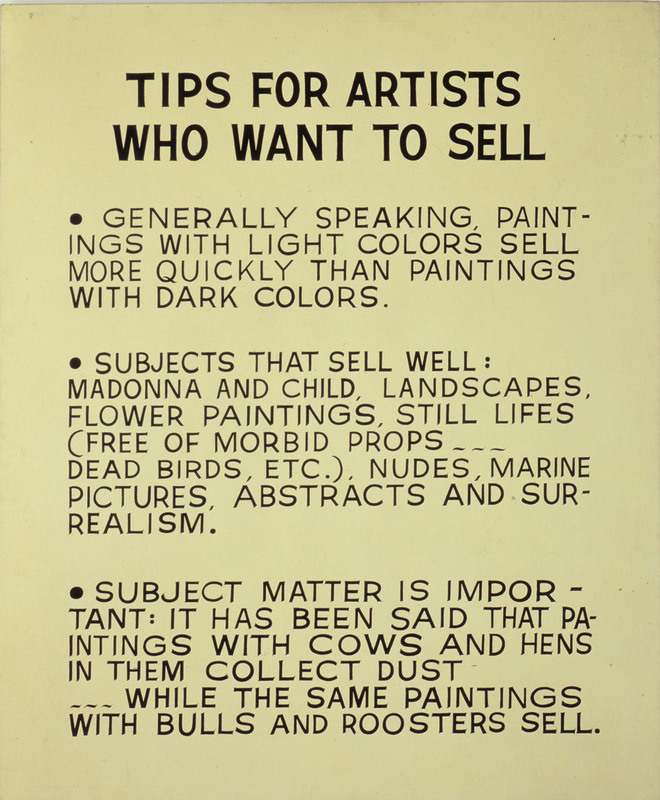 I’ve written about John Baldessari’s text paintings before but this seems like a good time to go back to one in particular: while I’m thinking about words of advice, Baldessari’s Tips for Artists Who Want to Sell seems like a good work to write about. There’s something pleasing – to me at least – about the idea of using the conventions of painting to produce something so unapologetically unpainterly. Lets face it, if Baldessari’s tips are even a little bit useful, by ignoring his own advice so comprehensively surely he’s ensuring his own work is unsaleable? Except of course, he’s John Baldessari and as such he’s very far from whatever part of the art market it is that prefers paintings to be of landscapes, flowers or the madonna and child. Casting my gaze more widely, what other advice is out there? 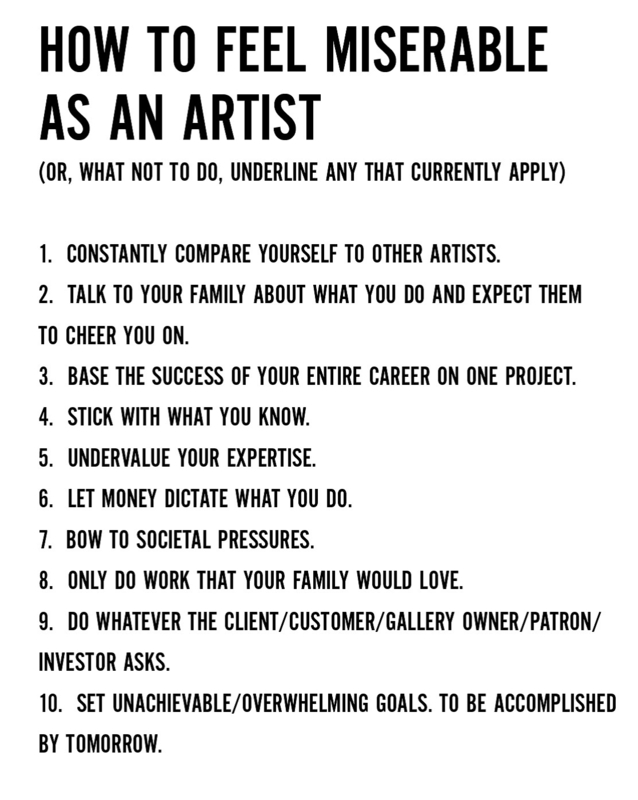 Well, Keri Smith’s The Artist’s Survival Kit springs to mind, especially the best known part of the kit, the page that seems to find its way everywhere (I’m pretty sure there’s at least one print of it in my office at work, for instance) not least because so much of it resonates so strongly. And of course, those wishing to check the validity of Baldessari’s tips should check the research that informs Komar and Melamid’s Most Wanted Painting which I’ve already posted about here. This entry was posted in Painting, Printmaking, Text and tagged advice, Advice for Artists, art, John Baldessari, painting, text by Ann Jones. Bookmark the permalink.